Here's another giveaway from my Unica Hija fam! :) Bongga the prize! So gora na join join na guys! Fun tooo. 2. 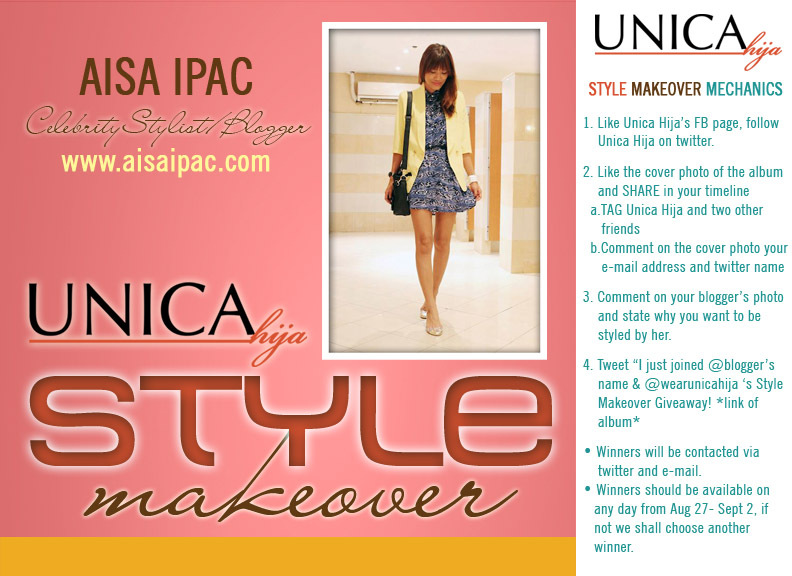 Tweet “I just joined @paxieness & @WearUnicaHija ‘s Style Makeover Giveaway! http://goo.gl/UuXyn"
3. 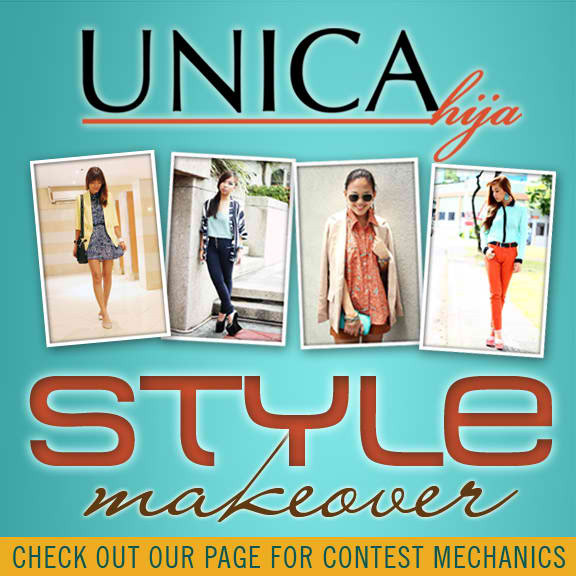 Like Unica Hija's Facebook page HERE. a. TAG @UnicaHija (on fb) and two other friends. b. Comment on the cover photo with your e-mail address and twitter name. 5. Comment on my photo HERE and state why you want to be styled by moi! *** If you don't tag Unica Hija on Facebook, your entries will NOT be counted. *** If you don't comment on the cover page, Unica Hija will not be able to contact you. *** Winner should be available any day from August 27-September 2. If not, we will choose another winner. Contest ends on August 24! :) Goodluck!